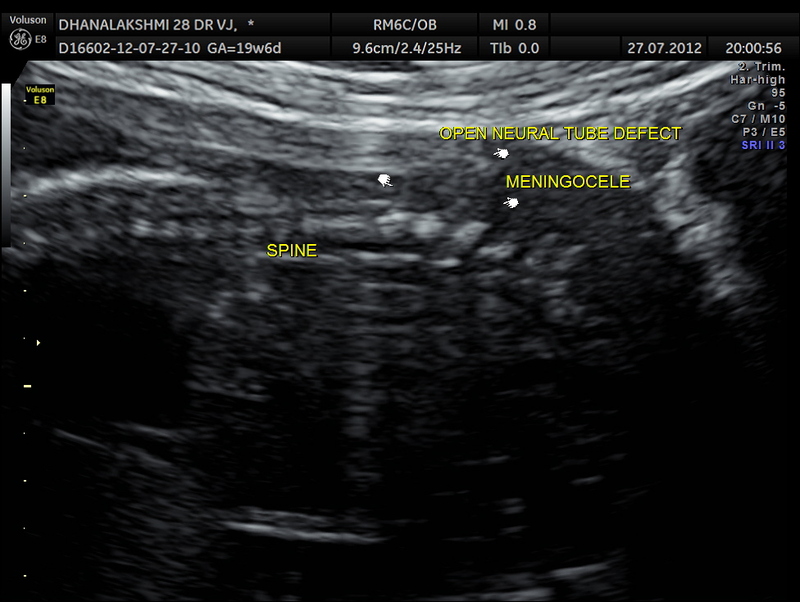 This was a 29 year old lady ; G3 P1 A1 ( MTP by choice) , referred for anomaly scan at 20 weeks. 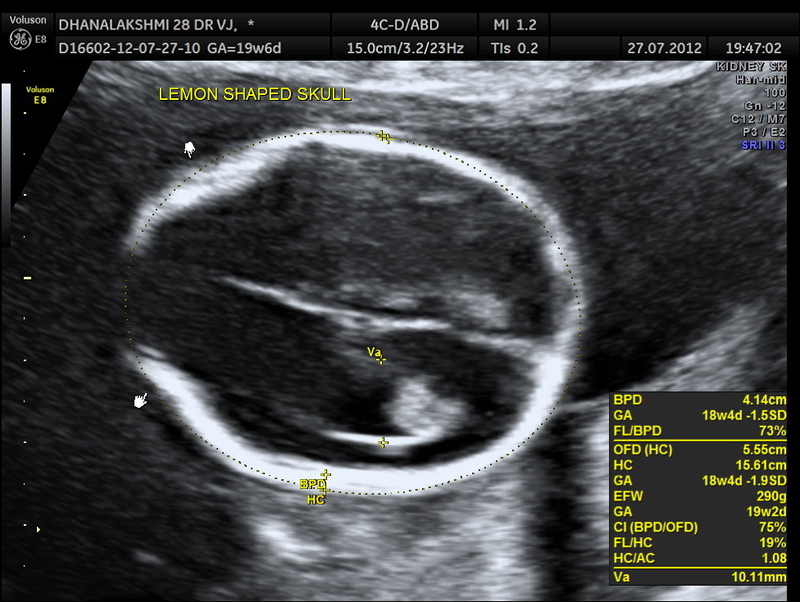 Earlier scan done at 15 weeks did not reveal any abnormality.But scan done 2 days ago at a different centre has revealed abnormal shape of head. 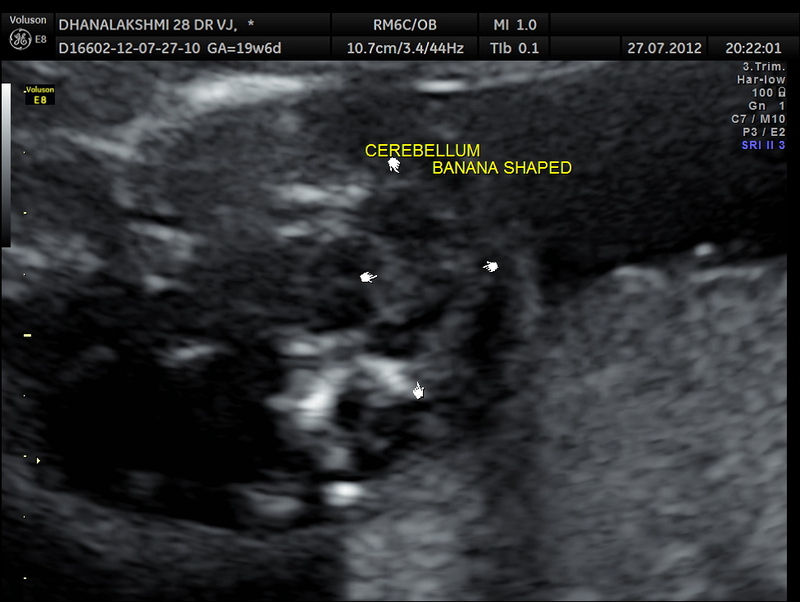 The following was the picture of the head showing the ” lemon sign”of the skull and the” banana sign “of the cerebellum.